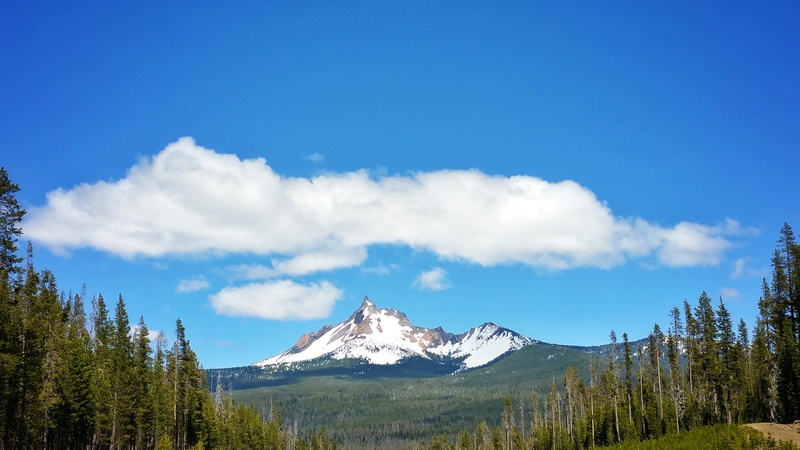 A glimpse of my favorite mountain in Oregon – Mount Thielsen. Our drive south gave us a good look at a large portion of the PCT. It’s all still snow-covered, much like the rest of the trail still is. It’s starting to cause safety issues and concerns for all of those hiking the trail this year. We’re hoping that those hikers are making smart, safe decisions. — this is the third attempt in over a week to post this from the mobile WordPress app. If you’re reading this, that means I can continue posting. Yay!